Recruiting Industry Automation is Coming...Are You Ready? Newspaper ads, job boards, word-of-mouth referrals, social recruiting… automation? There aren’t many industries that have been affected as dramatically by technology as recruiting and staffing. Two decades ago talent was acquired through simple newspaper ads and old fashioned face-to-face networking. Then the internet offered the job board, which was subsequently usurped by aggregators and social networking sites like Indeed and LinkedIn. Recruiters are pragmatic, progressive professionals who find themselves in an incredibly competitive space. They boast an enviable track record of identifying and adopting better ways of doing things. But the next logical step in the development of recruiting just might test how open-minded the industry is to change. Since the beginnings of the industrial revolution, the word ‘automation’ has sent shivers down workers’ spines. Over the centuries it became a byword for redundancy; machines replacing people in the endless pursuit of efficiency that defines commercial enterprise. The recruiting industry is notable in its hesitation to automate. The idea is discussed in hushed tones, with recruiters hesitant to dive down that particular rabbit hole lest it leads to them being replaced. While professional fields like sales and marketing have embraced automation, recruiters have largely continued to do things manually. Over half of all talent acquisition professionals say the hardest part of recruitment is screening candidates from a large applicant pool. The numbers reflect the sentiment – according to an Entelo report, on average recruiters spend 13 hours per week (one-third of their professional lives) sourcing candidates for a single role, and almost a third spend 20 hours (half their time) doing so. The good news? Problems like these have a solution. When talk turns to automation, the temptation is to imagine a walking, talking, human-shaped piece of machinery from I, Robot sitting down at your workstation and tapping on your keyboard. But the short-term evolution of recruiting won’t materialize in such a Hollywood way, and automation doesn’t necessarily mean artificial intelligence, at least in robot form. Instead, automation will focus on using computer power instead of brain power for those manual tasks that soak up so much of a modern recruiter’s time – like the identification of the most exceptional candidates within a large talent pool. The focus isn’t on replacing the professional but giving them the tools to succeed. In the same article, it is explained that artificial intelligence is expected to be a net creator of jobs, rather than an eliminator, with Gartner predicting that the technology will introduce 2.3 million jobs while only 1.8 million will be lost. Excitingly, these tools are already available. As of late 2018, the field of recruiting automation boasted no less than 70 different technologies, each of which is designed to get you recruiting faster, smarter and better. What are these technologies? And how exactly do they make you a better recruiter? To get an idea of where automation might lead the industry, let’s take a look at two of its most promising uses – in candidate screening and candidate engagement. As outlined above, candidate screening – finding that talented needle in a sizable haystack – is the most labor-intensive aspect of the average recruiter’s job. By using AI-driven automation technology to wade through the pool of talent and quickly identify the most promising candidates, you could earn back multiple hours per day that could be spent filling more roles or offering the best candidate experience possible. The results of some of these products are incredible, like reducing time to fill from 34 days to 9 and reducing cost per hire by up to 70%. Speaking of candidate experience, the benefits of engaging with your candidates have long been apparent. However, most recruiters assume that automation and meaningful candidate engagement are mutually exclusive – if you want to be engaging, you need to spend time crafting custom messages that will resonate with each individual. But surprisingly automation has you covered here too. By properly segmenting your ATS, a marketing automation tool can send customized messages to specific demographics, meaning that your candidates will only ever receive communications that are relevant to them, and at the times and through the channels that they prefer. The fears that surround recruiting automation are understandable, particularly for talent acquisition professionals. But make no mistake – automation is happening, and it has the potential to be the most revolutionary innovation in the history of the industry. Happily, the emergence of recruiting automation tech has only just begun. The opportunities it presents will enable early adopters to recruit more efficiently and effectively – separating themselves from the un-automated pack. 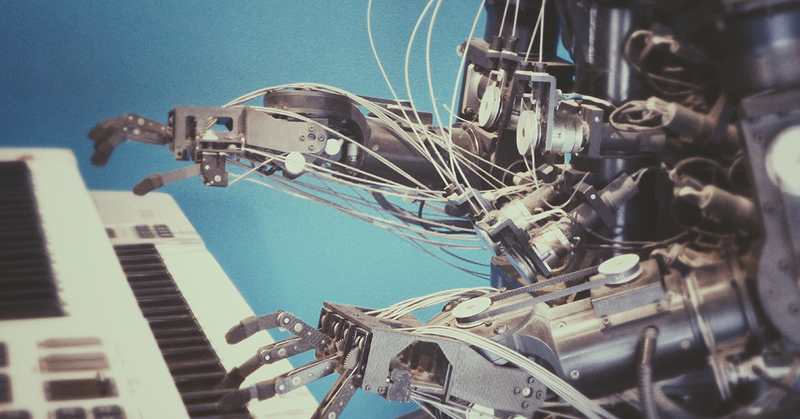 And if the pragmatism and progressiveness historically shown by recruiters is anything to go by, automation technology could go from promising curiosity to industry standard in the blink of an eye.